Gathering Spaces Ferry Beach is a collection of space–some large, some small, some for meditation and solitude, some for disco ball-lit dance parties, and everything in between. 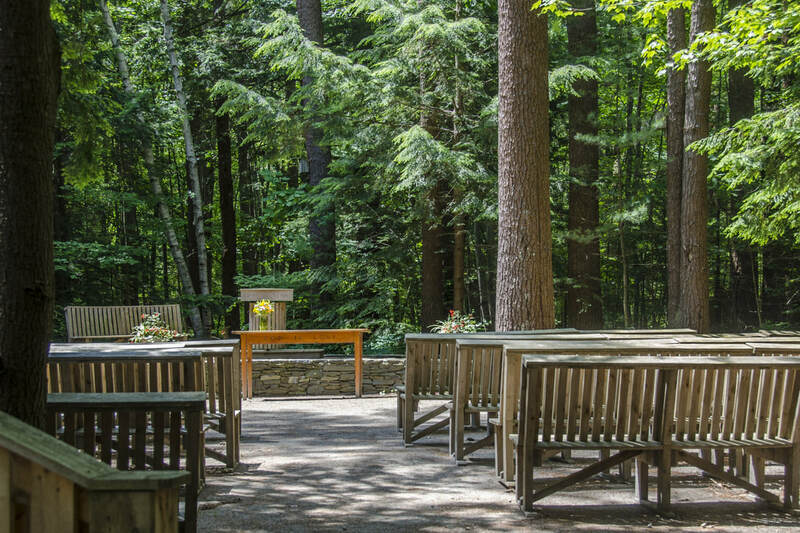 Whether you are seeking to celebrate, instruct, learn, reconnect, worship, or relax, Ferry Beach has a space for you. This large space has a stage complete with professional sound and lighting. Many gather here for parties and dances (yes, there is a disco ball), Talent/No Talent Shows, Zumba, Yoga, Karaoke, and large meetings. It also serves as a rain location for chapel services. Rowland has four meeting spaces on the first floor. The Ziegler Room is a comfortable space filled with couches and chairs. The Murray Room can be set up with tables and chairs or couches. Two smaller meeting rooms - North and South - are joined by double doors. The South Room has a large sink with stainless steel counter and a half bathroom, making it a perfect spot for art workshops. The Quillen Lobby with its working fireplace is a cozy, yet non-private meeting space. The Dolphin Room is Ferry Beach's old dining hall, which was converted to a large meeting space in 2012. When empty of furniture it functions as a dance rehearsal or yoga space, and with tables and chairs it easily conforms to a meeting room, art studio, writing sanctuary, or quilting party. The newest addition to the Ferry Beach campus is the DeWolfe Dining Hall & Blanche Rowland Kitchen. Built in 2011, the Dining Hall is an open, airy space to meet for meals and, when planned in advance, other gatherings. The first floor of Gardiner provides many kinds of gathering spaces. The rustic living room with its open-beam vaulted ceiling is a favorite meeting space for comfortable conversations. The upright piano also makes it a perfect space for music making. The indoor porch contains shelves of games and puzzles along with tables, chairs, and couches. This lower level, air conditioned space is perfect for meetings for 20-30 people, has a handicap accessible bathroom, and can have added tables, chairs or both. The space changes dramatically when filled with furniture, equipment and people! 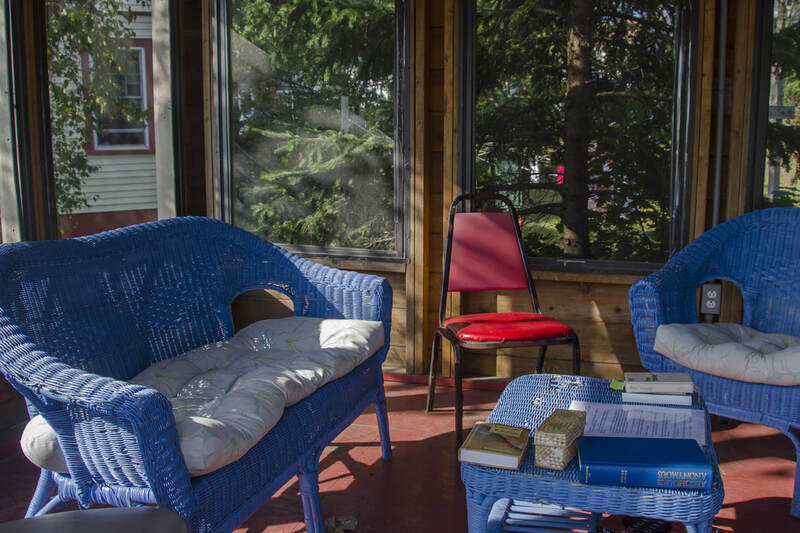 Our private oceanfront is located at the Southern tip of a 7 mile stretch of sandy beach - the longest in Maine. Enjoy lazy afternoons bathing in the sun, or go for a long walk with a friend. The beach is also a gathering places for a variety of conferences and workshops: early morning meditation, yoga at sunrise, rituals at dawn, sandcastle building competitions, photography, dance, drum circles, and, of course, kayaking. Ferry Beach employs professional lifeguards during the summer season. The beach is typically guarded 1:00 pm - 5:00 pm daily. Please keep in mind that children are always the responsibility of their guardians. 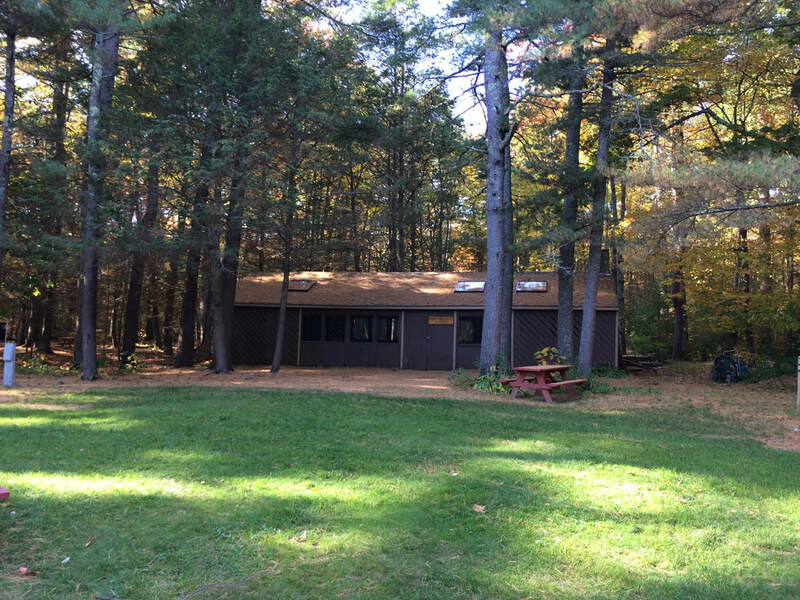 As a retreat and conference center committed to personal and community transformation, each morning and many evenings at Ferry Beach, opportunity to explore and worship Spirit individually and with others is available. A beautiful grove of trees is the most transcendent place to sing, meditate, and listen to a speaker share his/her personal journey of transformation. The Chapel is a gathering space for the entire Ferry Beach community - conferees, vacationers, and neighbors alike are all invited to daily morning worship services. The main entrance to the Grove is a large clearing with a fire pit surrounded by benches. 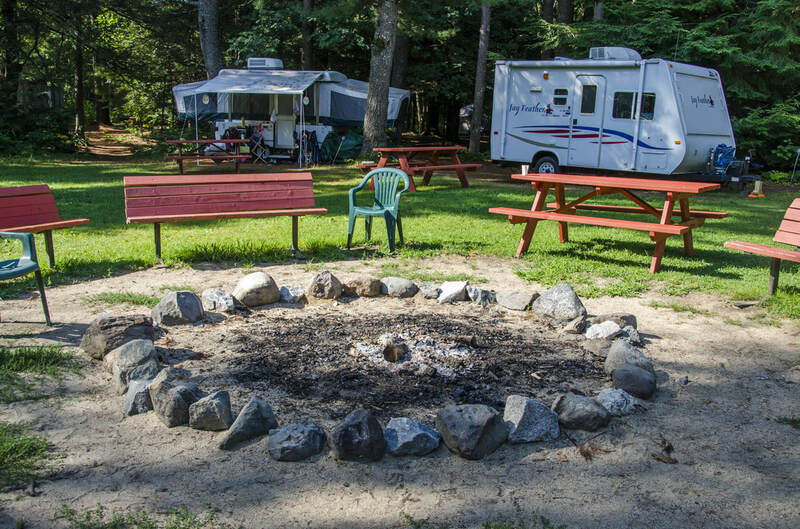 The perimeter of the clearing is perfect for RV camping. Many evenings at Ferry Beach begin with a campfire. Songs and stories are exchanged; s'mores are roasted and enjoyed; memories and friends are made; and the crisp Maine air encourages us all to become more of who we are, as individuals and as a community.. The Rose Pavilion is a rustic, multifunctional space in the Grove. Depending on chair configuration, it can be a large meeting hall, a performance space, a party room, a worship service in the round, or an intimate gathering next to the fireplace. Popular during special events in the Grove for food station set-up or small parties, its rustic nature allows guests to bring their own creativity and DIY skills to this woody space. It doesn't hold many people and it has few amenities to boast of (wicker furniture and a power outlet), but this tiny space bursts with character. The Screen House is perfect for writing, listening, sharing, planning, or trying something new. The Ferry Beach porches are favorite gathering spaces. Quillen, Rowland, and the Dining Hall all have large porches with rocking chairs. Underwood has a swinging bench and Gardiner comfortable chairs. 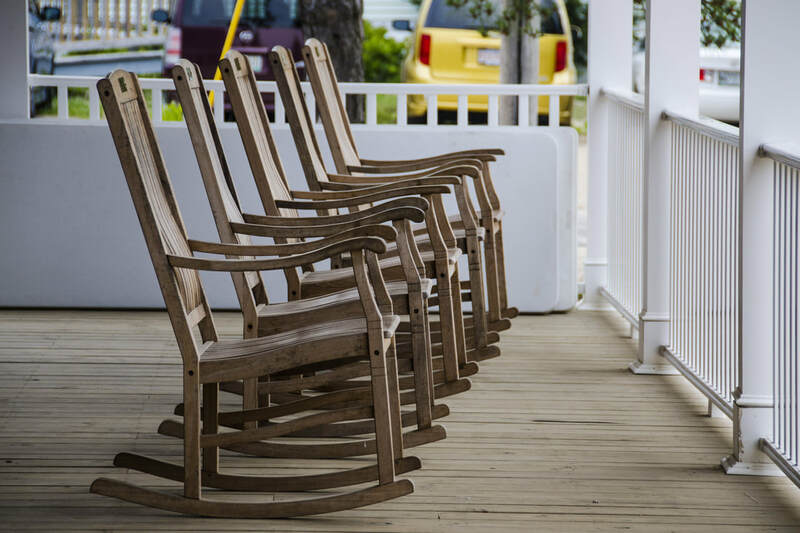 It is not surprising to hear music, laughter, and the ocean waves from these porches. They are beloved spaces of gathering for families, friends, workshops, and Ferry Beach staff alike.